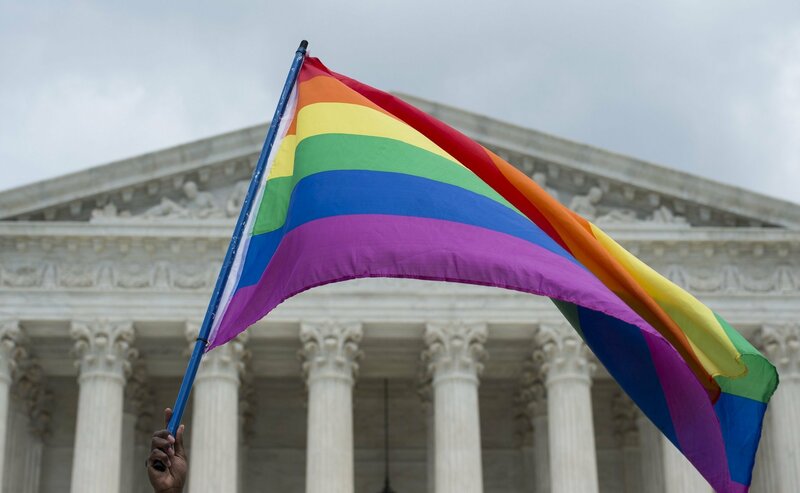 ‘It’s a sad, sad day for America,’ was my thought as I heard the news that the Supreme Court had decided, by a 5 to 4 decision, to legalize gay marriage. It’s a sad day when a nation, that was once built on a Biblical foundation, has embraced what the Bible plainly calls sin (See Romans 1). That’s like thumbing your nose at God. Many people wonder how all this has happened. Well, let’s have a brief look at the rise of the Gay Movement. Homosexuality has always been around. We live a fallen world and people commit all sorts of sin, not just homosexuality. In modern times, the gay rights movement dates back to 1969. “Many people point to the Stonewall Riots as the bellwether of the gay rights movement. In the early morning hours of June 28, a police raid on a Greenwich Village gay bar at the Stonewall Inn ended with law enforcement being pushed back. Three days of rallies later, a new wave had taken shape. The gay rights movement had come crashing out of the closet, and America would never be the same. The Gay Liberation Front was formed and took up the more radical tactics of the antiwar left. The original incarnation of the gay rights movement reached its apex in 1989, when protestors under the ground name ACT UP stormed St. Patrick’s Cathedral in New York City one Sunday during mass. These protestors were demonstrating against Cardinal John O’Connor, shouting slogans, carrying signs, throwing condoms, and crushing the consecrated wafer of the Lord’s Supper into the floor. It was a public relations fiasco, and the movement viewed that moment as a setback. The contemporary attitude towards homosexuality is the result of a decade long campaign. that sought to change the mind and attitude of Americans. It succeeded, especially with the new millennium generation. It was aided by the media, pop culture, education, arts, movies, TV programs, as well as government and it became like a cultural avalanche. However, we need to know where it is going. “What you need to hear is this: One of the key aspects of this campaign involves a turning of the tables. Essentially, once the LGBT (Lesbian, Gay, Bisexual, Transgender) agenda has gained sympathy (mission accomplished), then normalcy (mission accomplished), a critical component remains: to demonize those who are recalcitrant. To demolish the remaining opposition. The LGBT community has an agenda. It is a strong, organized movement and its goal is to silence all opposition. Though they and others have long proclaimed the message of tolerance, they are no longer tolerant of views contrary to their own, especially those of Bible believing Christians. We are in a war and those who embrace the LGBT message are not interested in taking prisoners. Rather, they want to demolish the remaining opposition. The Supreme Court’s decision gave them more ammunition to do this. In the next Langstaff Letter I will share a message on ‘How shall we live in a post Christian society.’ However, let me share a few things. 1. We have to recognize that we lost this battle because the LGBT movement was more committed to their cause than the church was committed to proclaiming Biblical values regarding homosexuality. Indeed, just the opposite happened, as many traditional denominations welcomed it. 2. We will need to develop educational programs that will present the reasons for and the benefits of a traditional marriage. We need to help our children and young people resist the pressure that they will face in school, college and the world. 3. We need to recognize this is a spiritual battle and not just a political or legal one. The enemy hates traditional marriage. It is a constant reminder to him of the relationship of Christ, the bridegroom and the church, the bride. It has come to the point where ‘people will call evil good and good evil. ‘ Isaiah 5:20. 4. Let’s remember we are all sinners and all of us need salvation. Let’s respond in love and pray for the gospel to come to the gay community. We also need to repent for the failure of the church to be the salt of the earth and the light of the world. 5. We should be believing and praying for a mighty spiritual revival to flow over our land. Many times in our history, when we have reached a low point in a national spiritual life, God has brought great awakenings to our nation. Let us believe for that to happen again in our time. The promise of Isaiah 60:1-2 is that in the midst of ever increasing darkness, the glory of God will be seen on His people. Reference Books – I would recommend two books on the subject of homosexuality. Can You Be Gay and Christian? – Responding with love and truth to questions about homosexuality. Written by Michael L. Brown. This is a very comprehensive treatment of the subject of homosexuality.